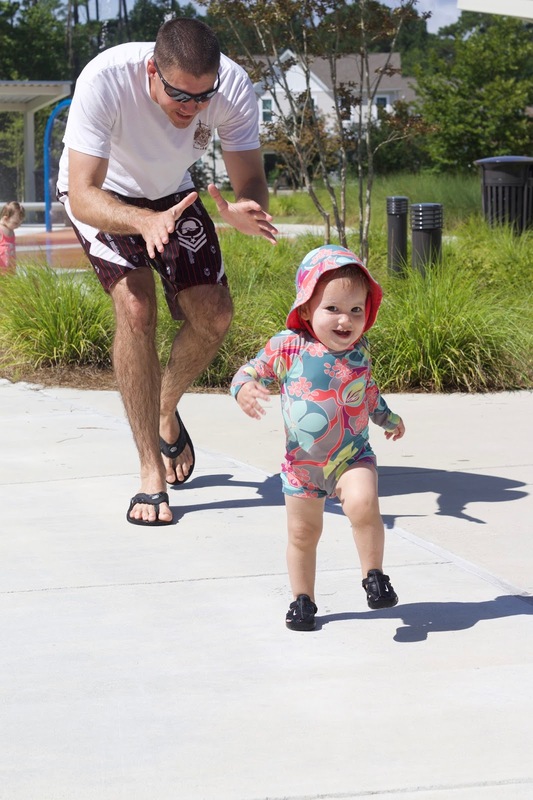 Caroline and I ventured out to the Midway Park Splash Pad on Camp Lejeune recently and I'm so glad that we did! The two times that we have been, it hasn't been busy and that's exactly how I like it. 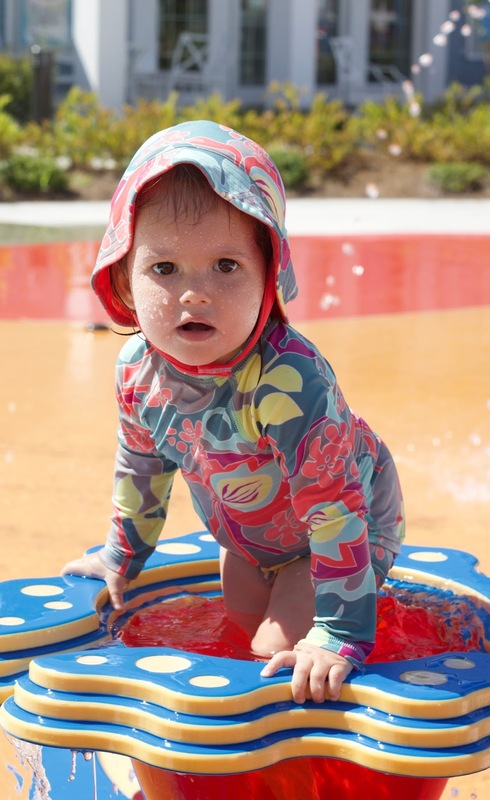 If you're looking for somewhere to take your little kiddo to cool off, I think this is the spot! It's a pretty big space in front of the AMCC housing office. The space is concrete and I've always wondered why they don't use the rubber like they do on playgrounds for splash pads. Caroline is getting around pretty well now, but if she was still crawling this would have been hard - skinned knees are no good. 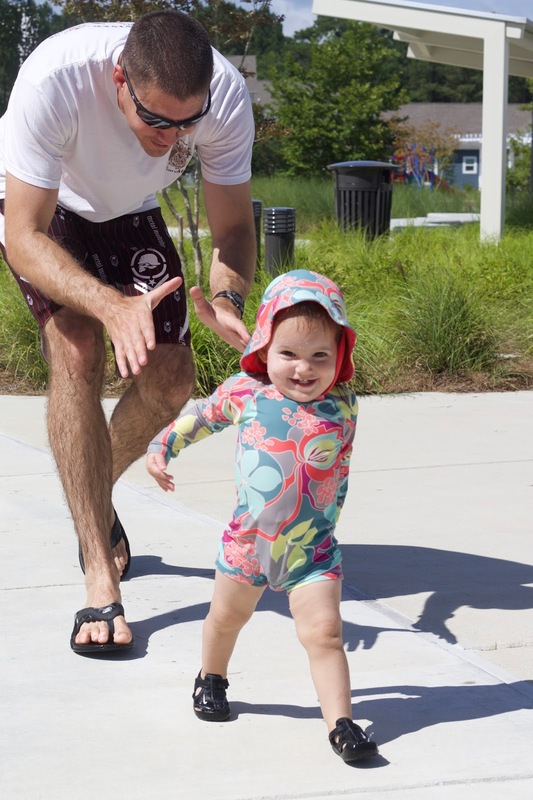 After our first trip, Mark and I went back over the weekend and Caroline had a blast! I'm not gonna lie, it was also nice to not have to be splashed with water because I just made Mark chase her around. Yay me! Selfishly, I just wanted you all to see the above series of photos because she's the cutest baby that I've ever given birth to and I just can't handle it. I won't leave you hanging without info, though. 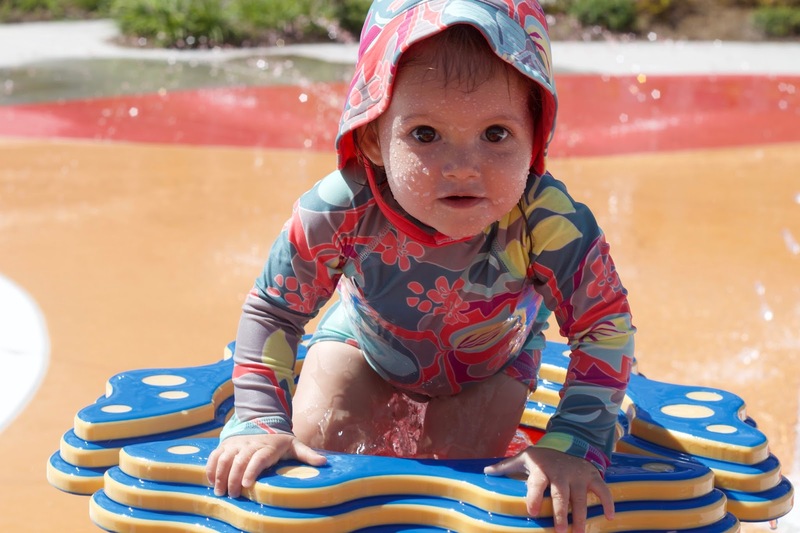 There's also a nice little playground close-by so pack a lunch and go back and forth between the water and jungle gym! 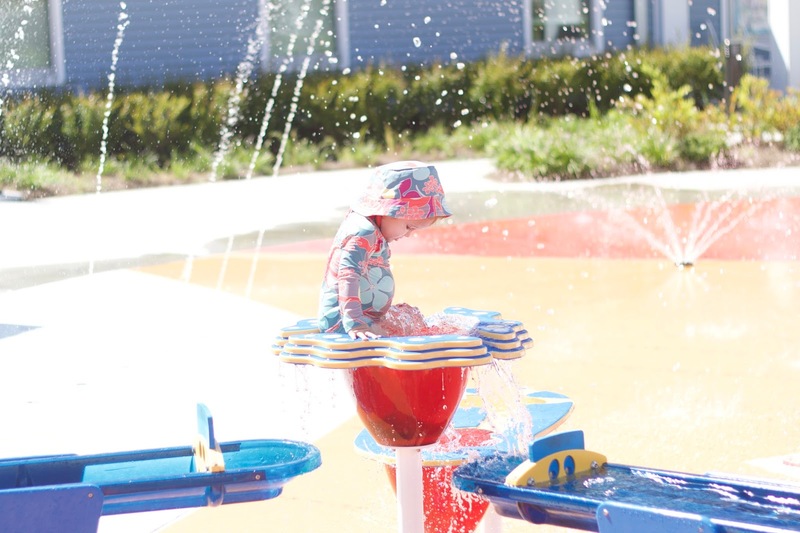 I think Midway Park's Splash Pad is your best bet if you're looking for a low-key way to cool off this summer. 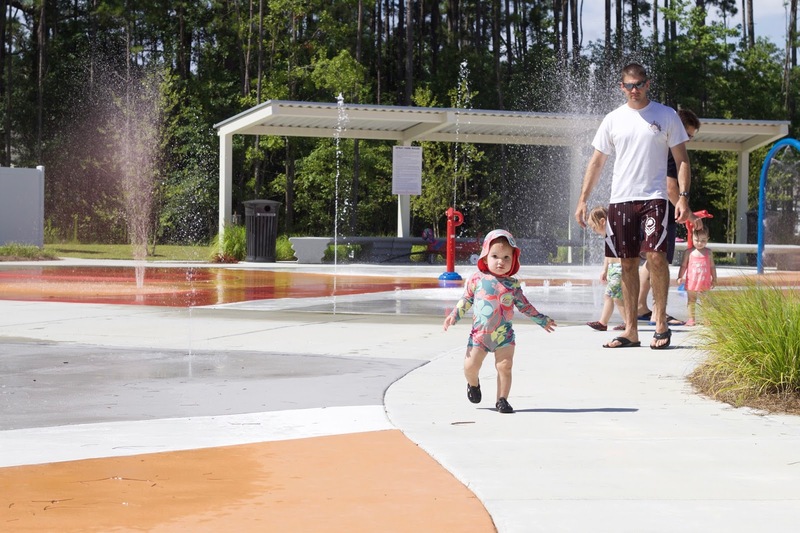 The pool at bicentennial has a splash pad, but the pool, itself, seems to draw the crowd! To get to the splash pad, go into the Midway Park gate off of 24. After entering the gate, turn left at the stop sign & follow the blue housing signs. There's always been an overload of parking! Enjoy!